If New York’s iconic American Museum of Natural History is the focal point of Todd Haynes’ “Wonderstruck,” then the tactile Cabinet of Wonders exhibit is the epicenter. That’s where the worlds of Rose (Millicent Simmonds) and Ben (Oakes Fegley), the two deaf children, converge 50 years apart (1927 and 1977). For Friedberg, building a set filled with such tactile historical objects is as good as it gets. 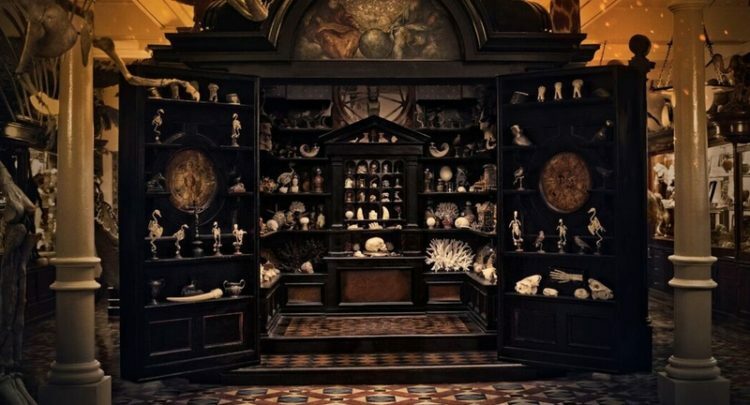 Cabinets of Wonder, which date back more than 500 years, were encyclopedic collections of objects that were a theater of memory and a precursor to museums. First, Friedberg keyed off a pen drawing from the “Wonderstruck” novel by Brian Selznick. Then he immersed himself in the history of Cabinets of Wonder, finding his way into the world of the weird. “And what’s great is that these things in and of themselves are a little unsettling and yet altogether kind of beautiful,” he said. The movie’s Cabinet of Wonders (shot by cinematographer Ed Lachman in black-and-white for Rose’s sequence and color for Ben’s) became a crucial metaphor for defining the role of the outsider. This pertains to both Rose and Ben. Not only did Friedberg create the set for the Cabinet but also recreated portions of the museum surrounding the exhibit. Then he had to tear it down and turn it into a storage room for Ben to sleep in.